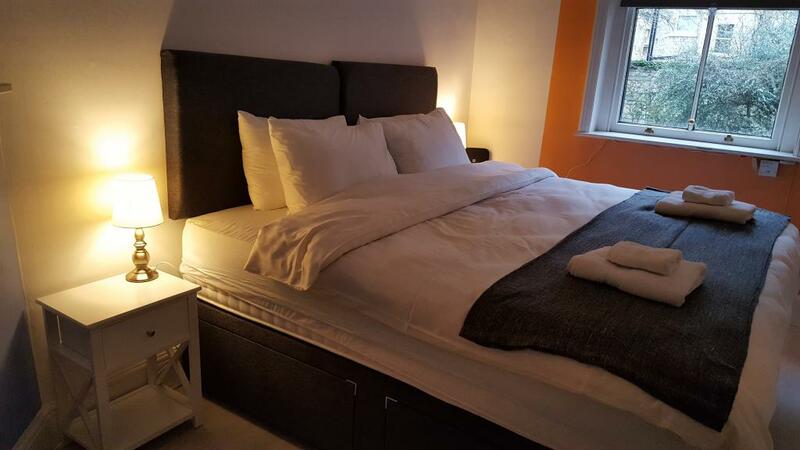 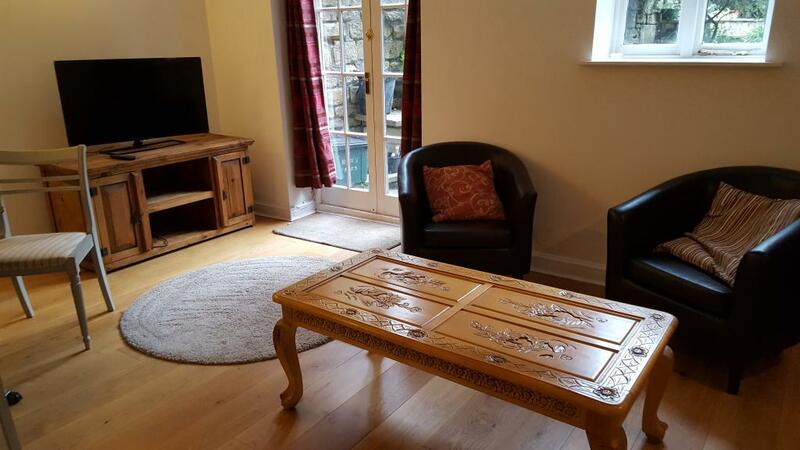 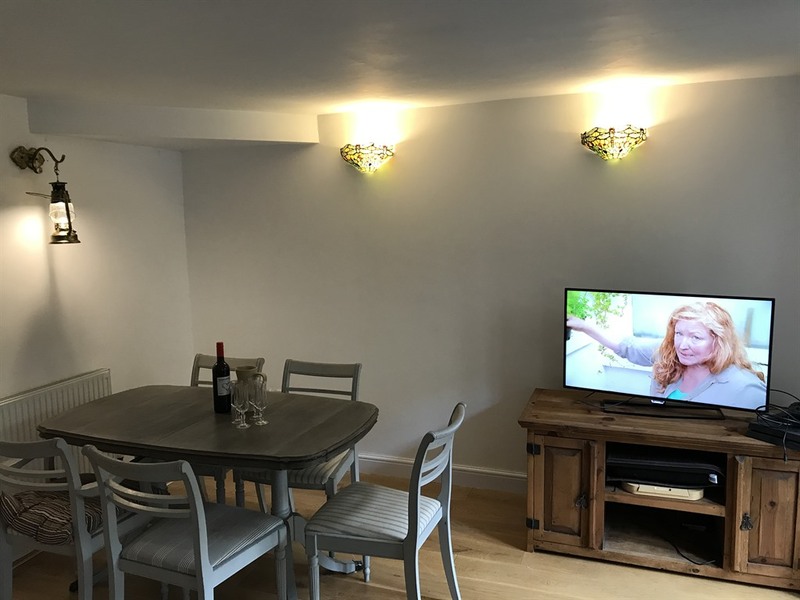 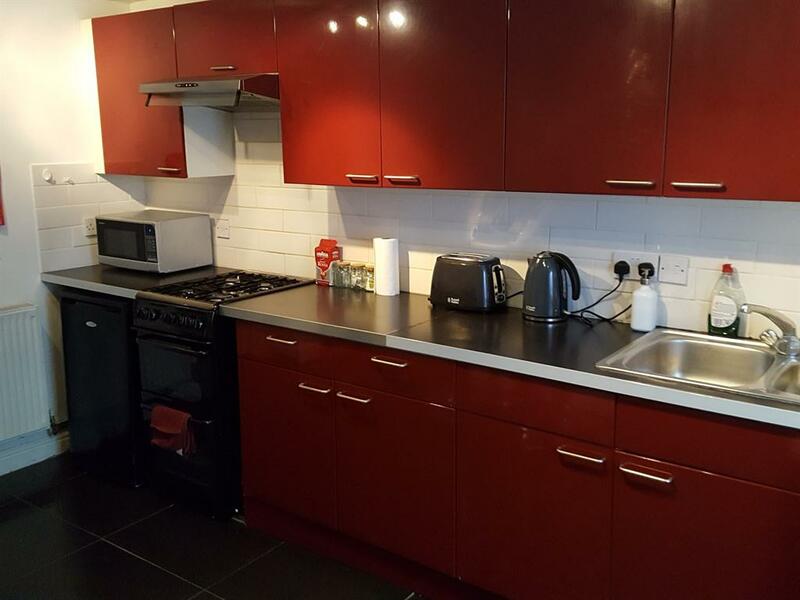 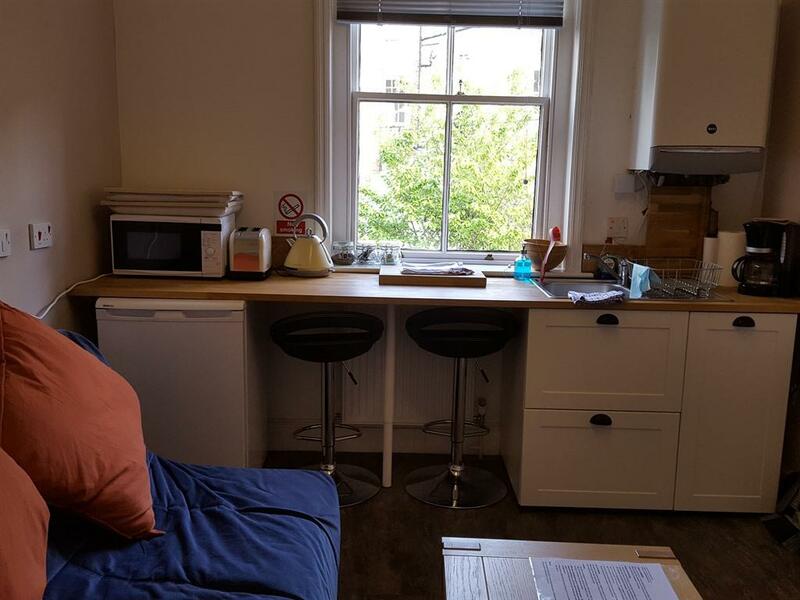 Situated on the first floor flat with large bedroom with TV, this ample suite includes a separate seating area with kitchenette including fridge, microwave, toaster, tea and coffee making facilities great to prepare a breakfast, but not for cooking. 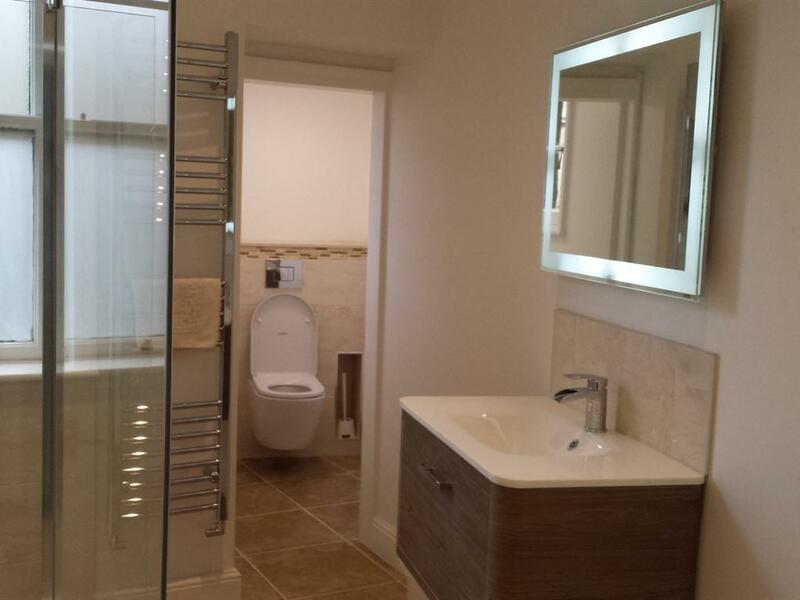 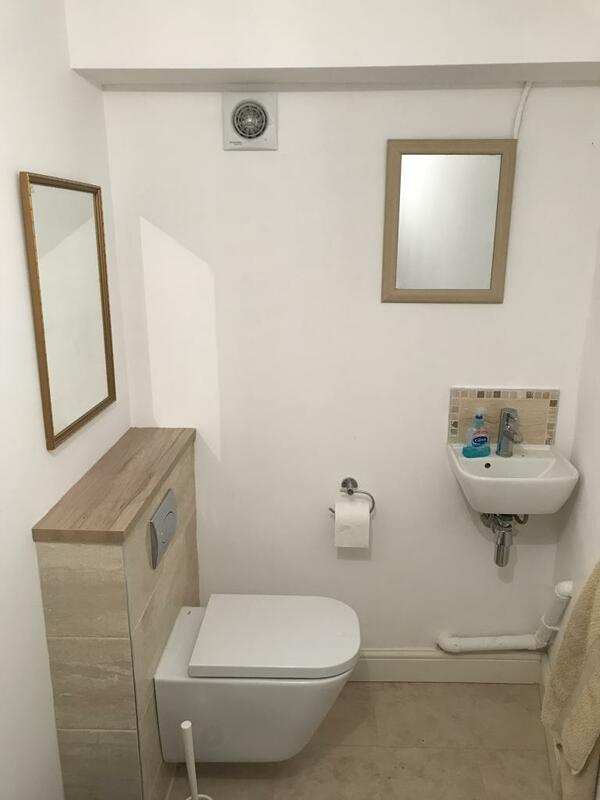 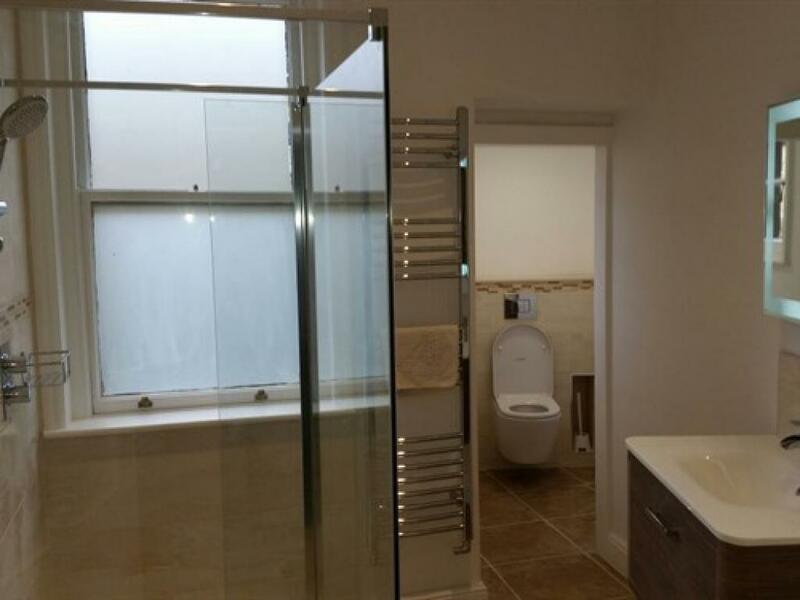 A modern and spacious bathroom with walk-in shower, toilet, heated mirror and heated floor. 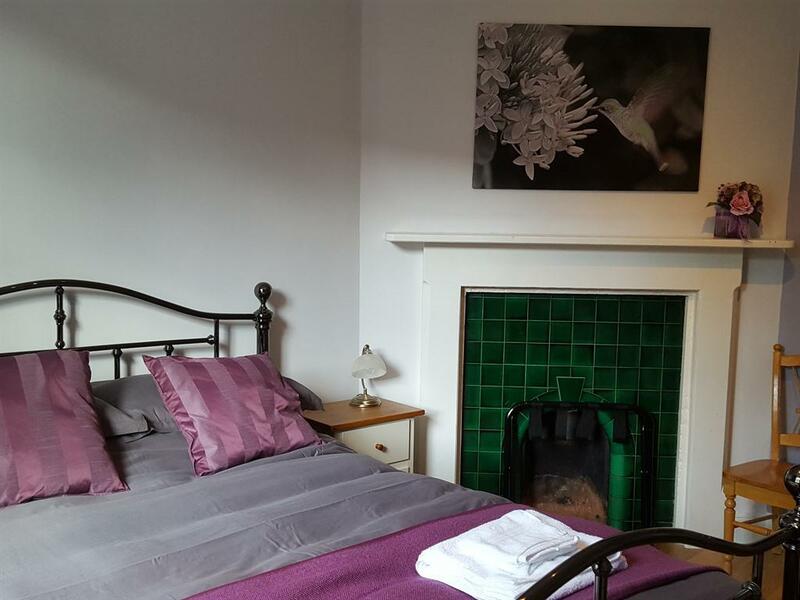 The bedroom features an old Victorian fireplace, in tandem with the Victorian King bed and deep and very comfortable mattress, suitably clad with oak flooring. 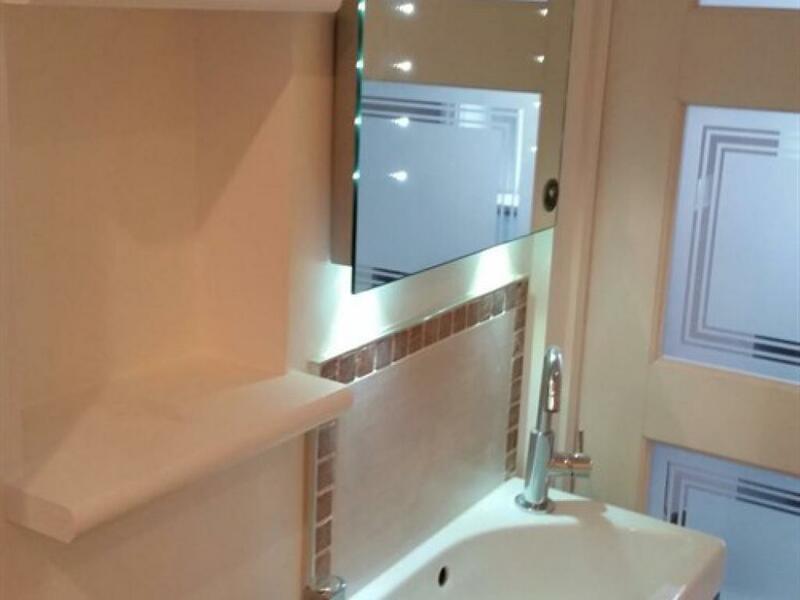 Not suitable for single males. With its own direct entrance, and spacious areas spread over 2 floors, the maisonette is really a home from home. 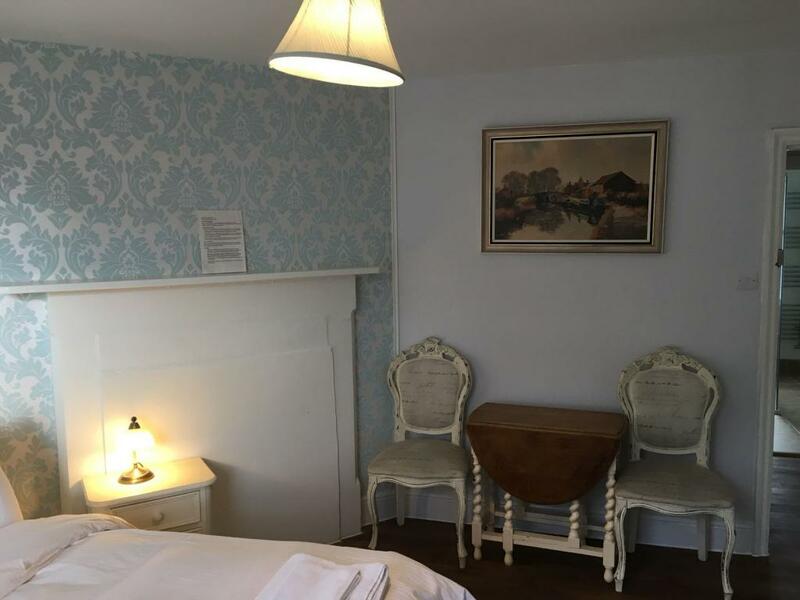 The Victorian king size bed with very deep and firm mattress takes up the bedroom, which also has the original fireplace (decoration, it doesn't function!) 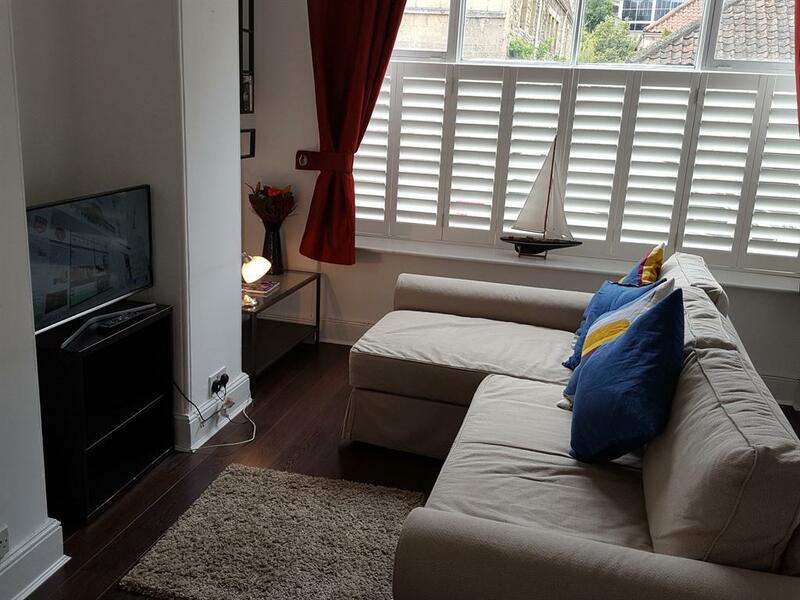 from Victorian times, leading into the spacious living room with cafe style shutters providing privacy and light. 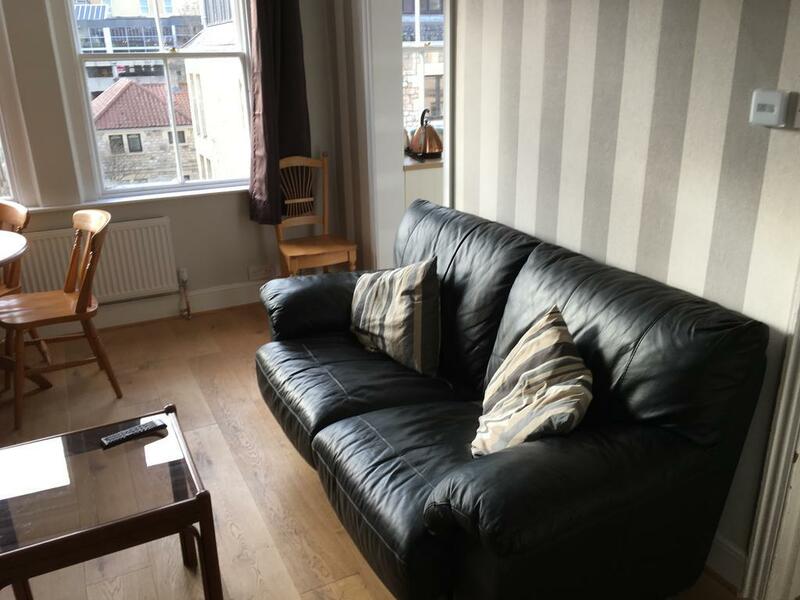 This features the TV, a desk, and a large sofa bed which folds easily into a very comfortable double bed when not being used as a large and also very comfortable sofa. 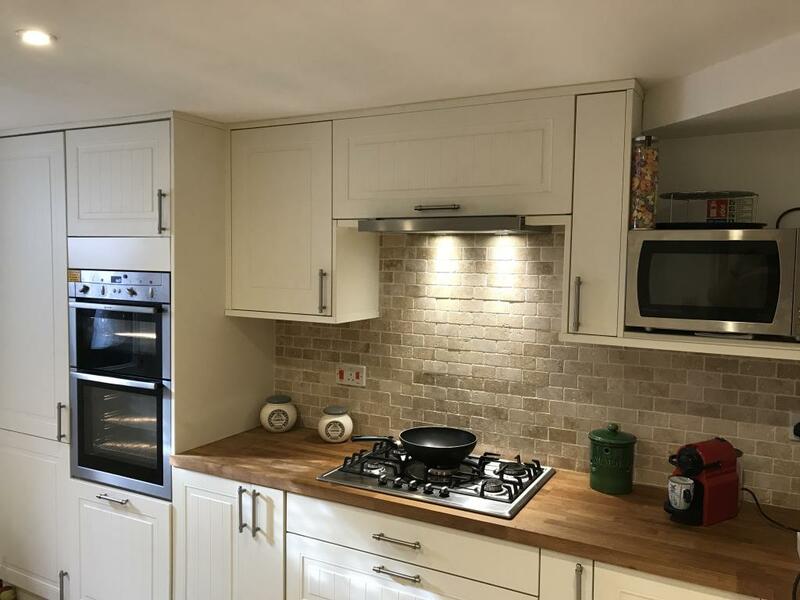 Steps lead downstairs to an equally substantial and fully equipped kitchen, a breakfast bar with 4 bar stools, and then onto the very spacious bathroom with walk in shower, toilet, heated mirror and of course heated floor. 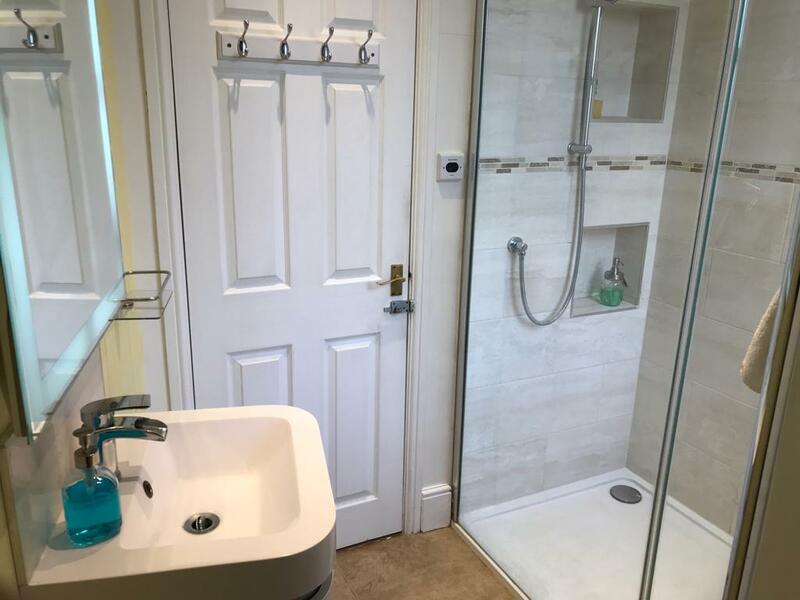 There is also a utility room with a washing machine. 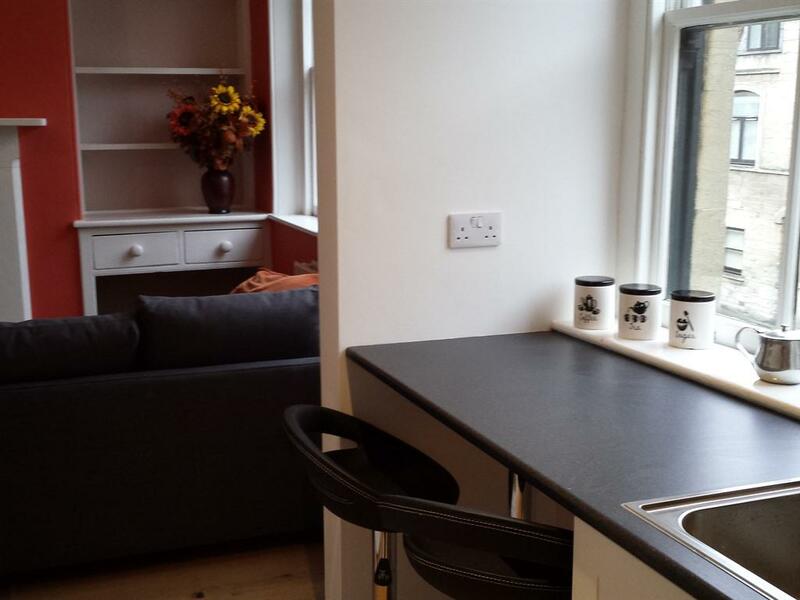 There is a charge of £15 per booking for basic cleaning. 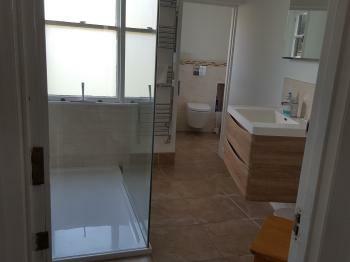 Not suitable for groups of single males. 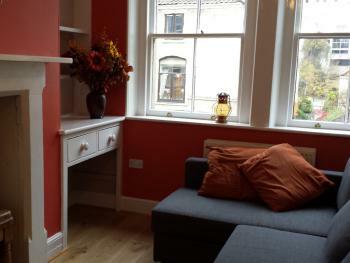 Delightful first floor apartment with space and oodles of charm. 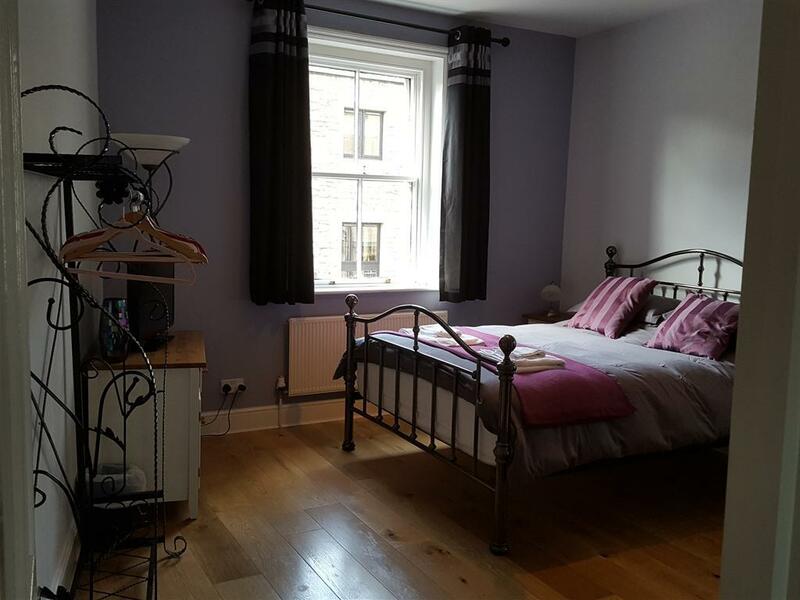 The bedroom features a king size bed with outstanding pmattress, leading to separate living room with TV and sofa bed enjoying plenty of light from the double sash windows. 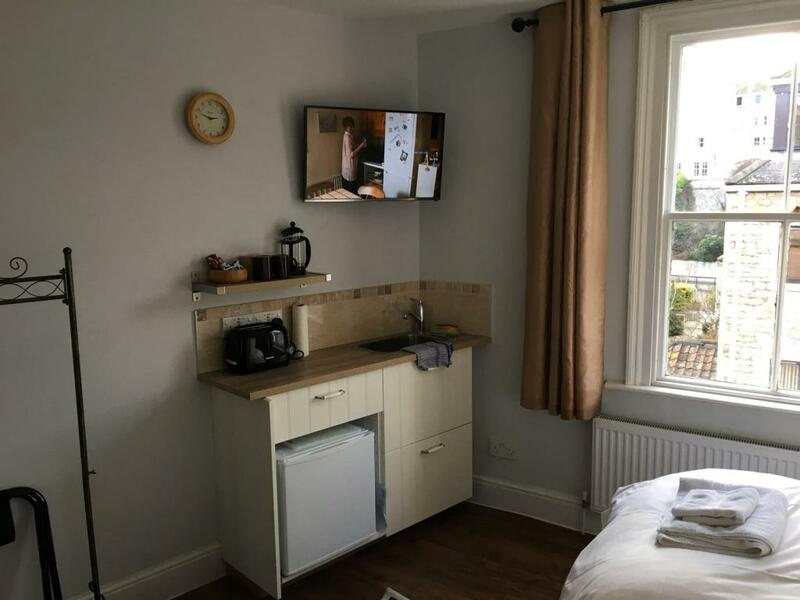 There is an adjoining kitchenette with fridge, microwave, toaster, coffee and tea making facilities and incorporating a small breakfast bar and 2 bar stools. 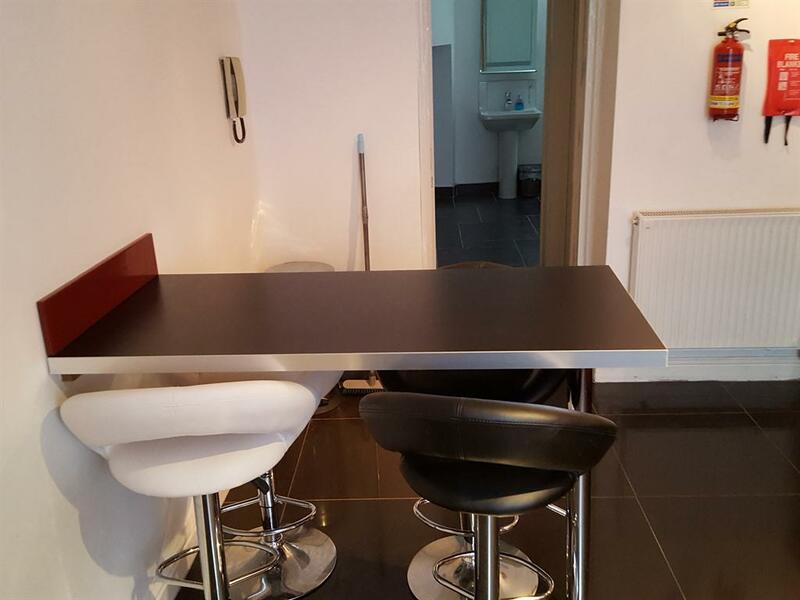 Lap trays are provided for those who like a take away whilst watching TV. 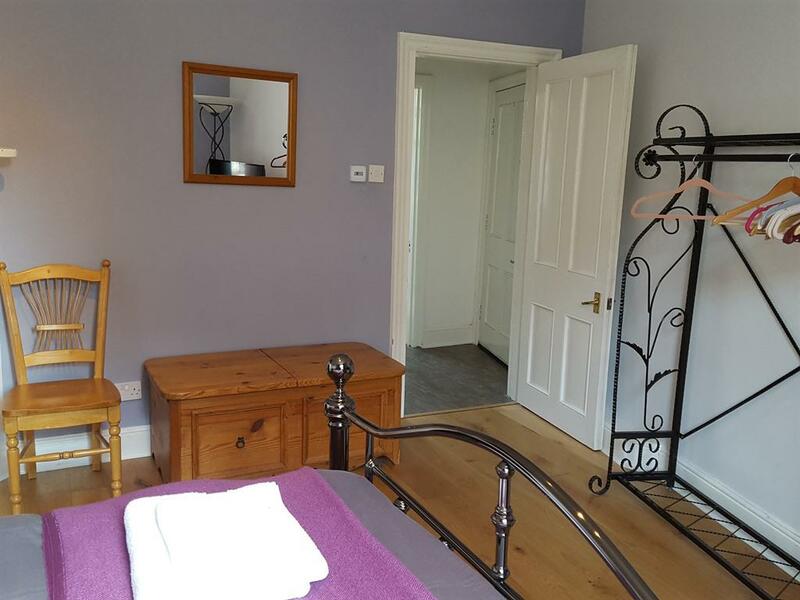 There is a separate toilet, plus a stunning walk in shower room with heated mirror and floor. 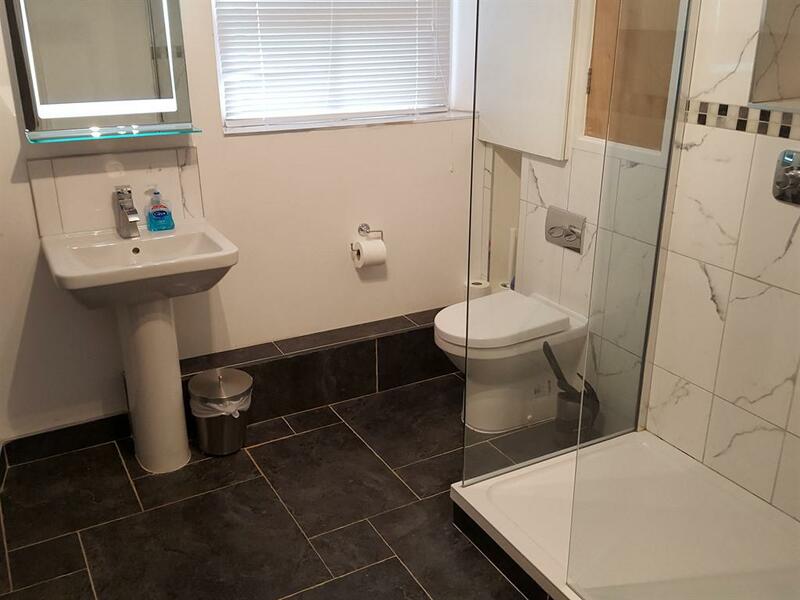 Not suitable for single male groups. 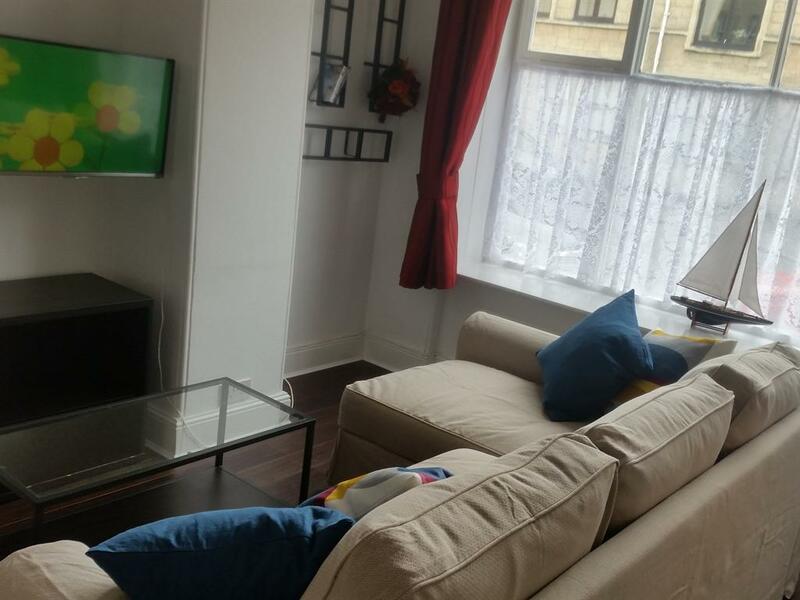 Newly renovated this benefits from views being on the 2nd floor and is fully equipped 1 bedroom apartment. 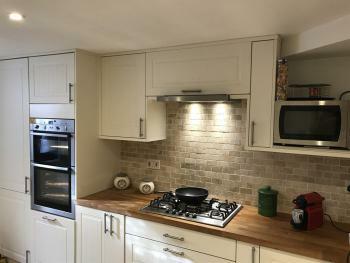 The kitchen has oven, gas hob, dishwasher, fridge with freezer compartment, plenty of storage and a great view! The living room has a comfortable sofa, TV, dining table and chairs. There is a separate toilet. 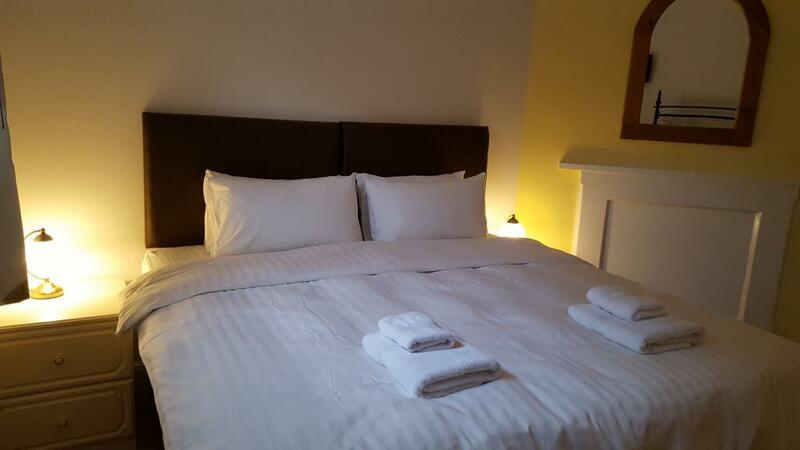 The bedroom has a king bed (150 cm) with medium firm mattress. 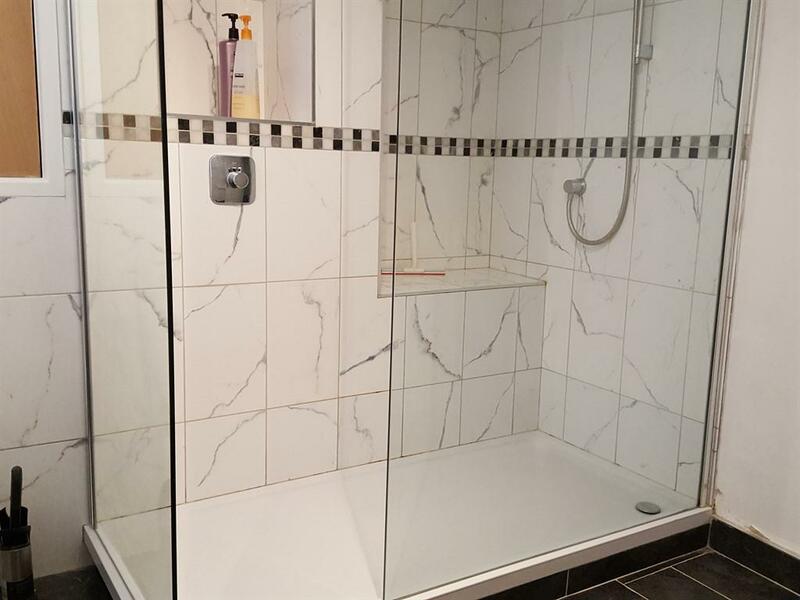 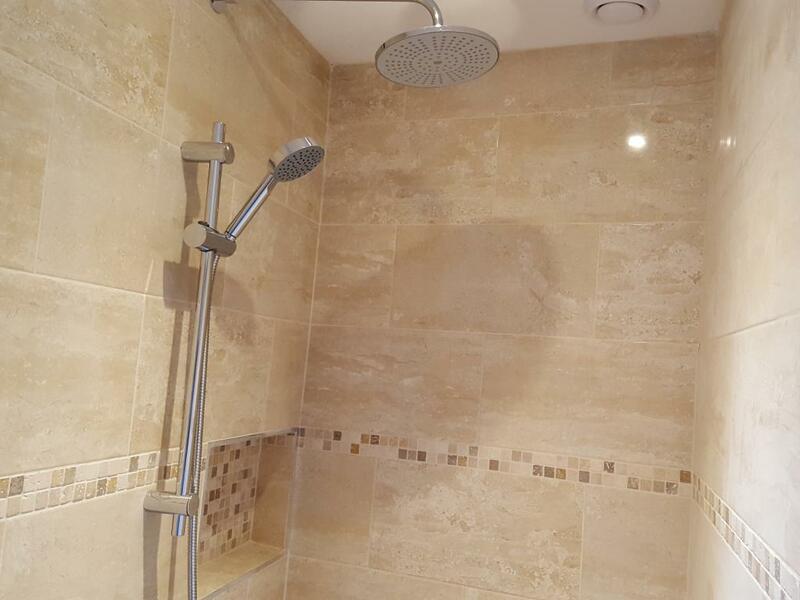 The unit has a super walk in shower with a Travertine design, heated floor, heated mirror. A real home from home. Great unit for those who are not interested in cooking. 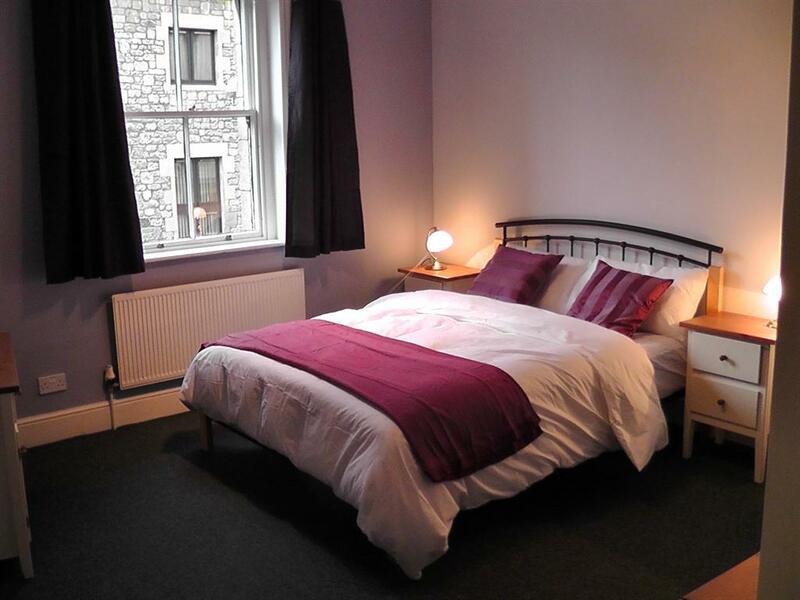 A good sized twin bedroom, and a large double bedroom which also has a small kitchenette with sink, fridge, tea and coffee making facilities, and even a small table from which to have breakfast or pre-dinner drinks and a chat! There is a large bathroom with a very spacious walk in shower, heated floor and mirror. 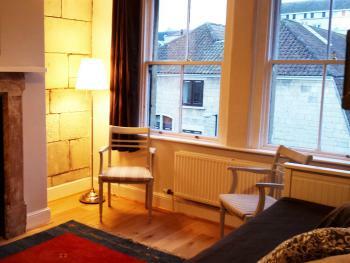 A great deal on accommodation. 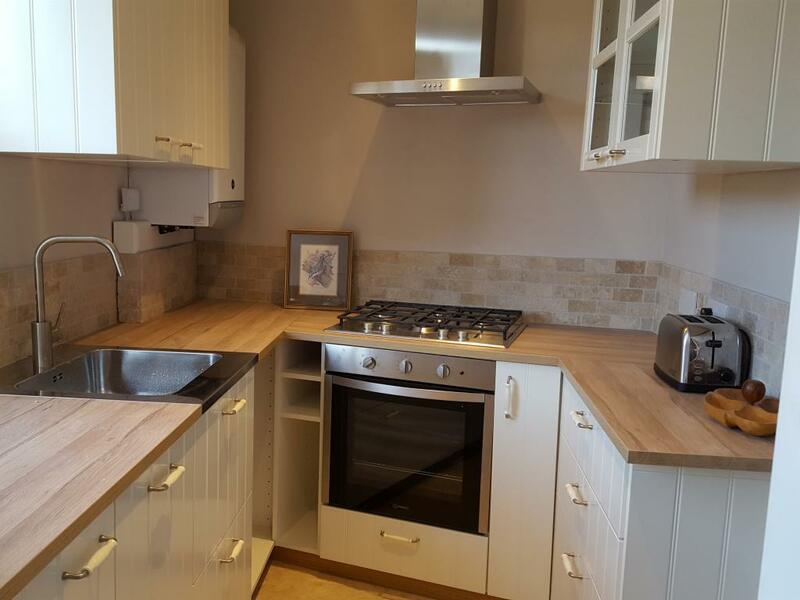 A spacious 3 bedroom apartment with lounge/diner and big fully equipped kitchen, this also enjoys the benefit of a garden with patio terrace and patio furniture, including natural shade. Two double bedrooms that can be singles or doubles at your choice. 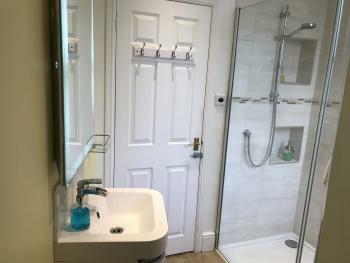 Shower room with toilet, plus another separate toilet. We are located just 107 yards from the Pulteney Bridge, one of only four bridges in the world to have shops across its full span on both sides. 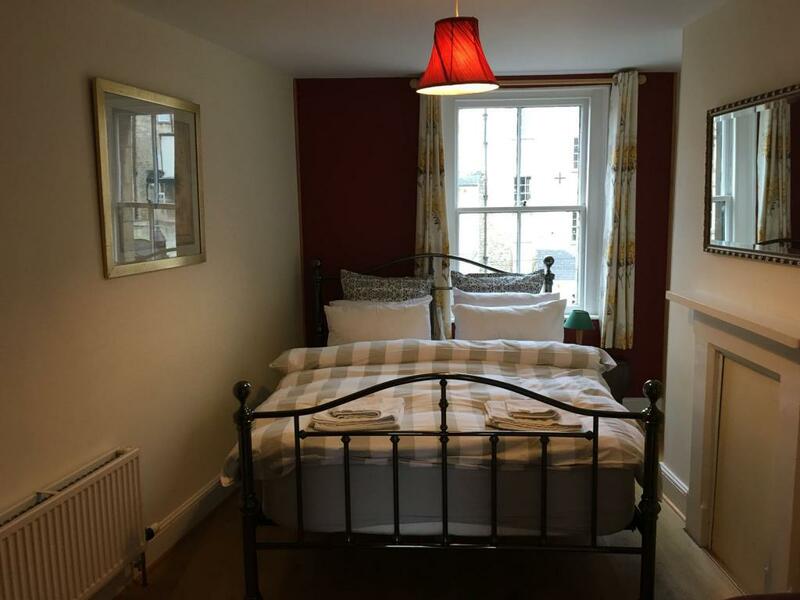 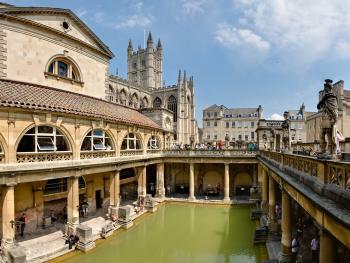 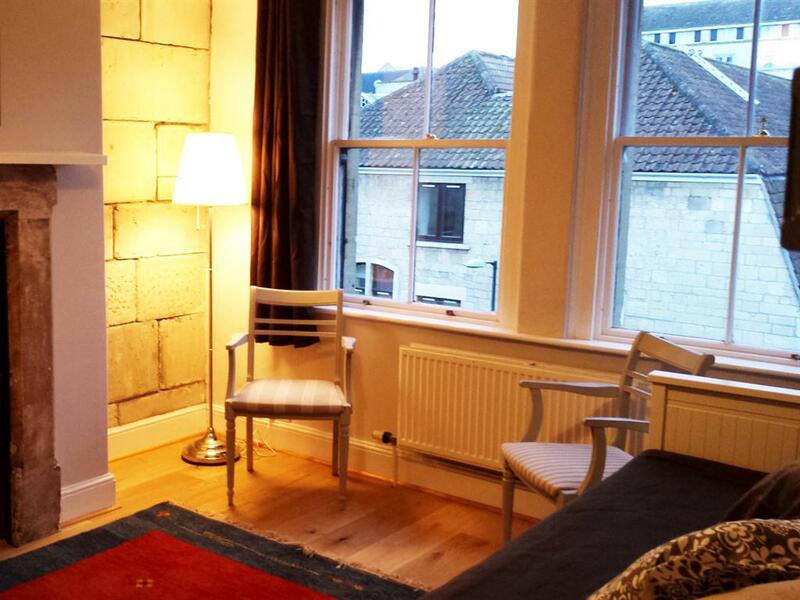 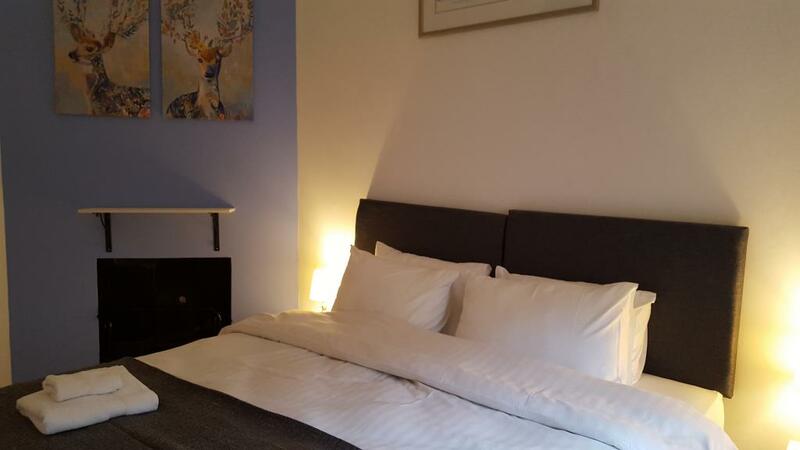 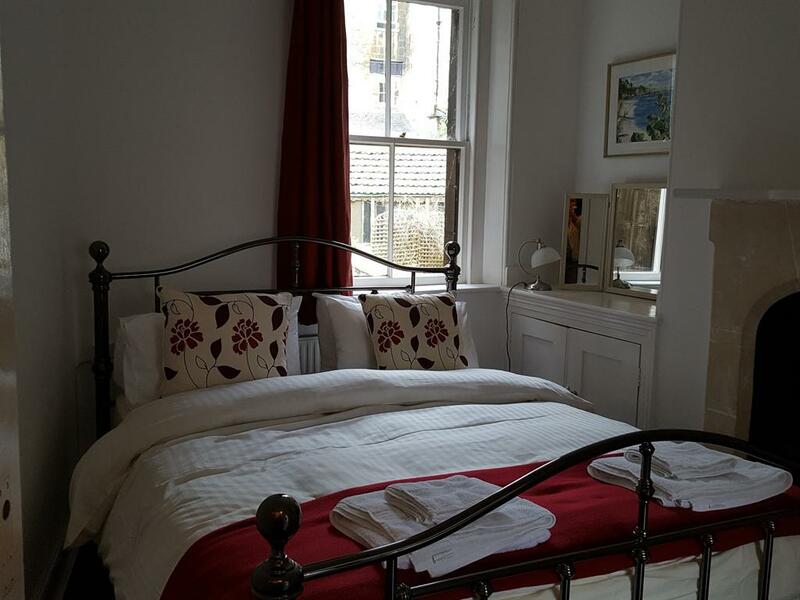 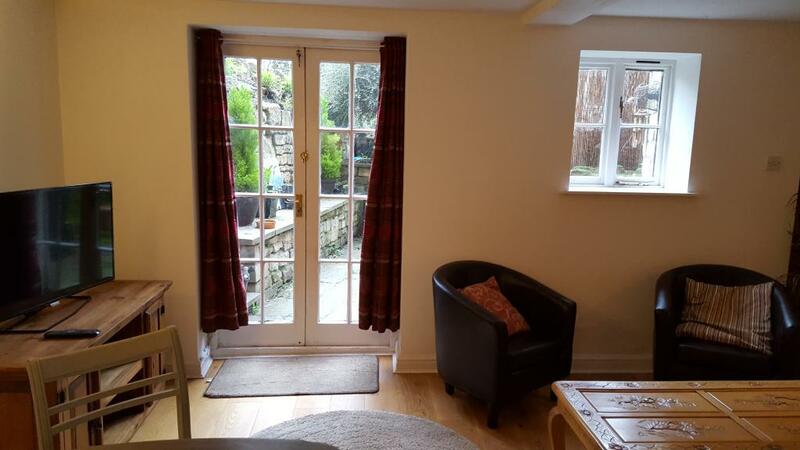 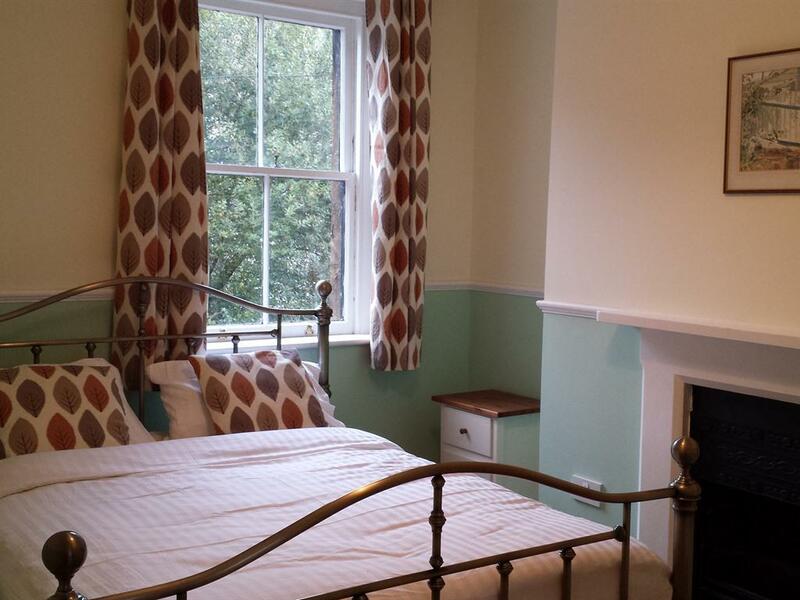 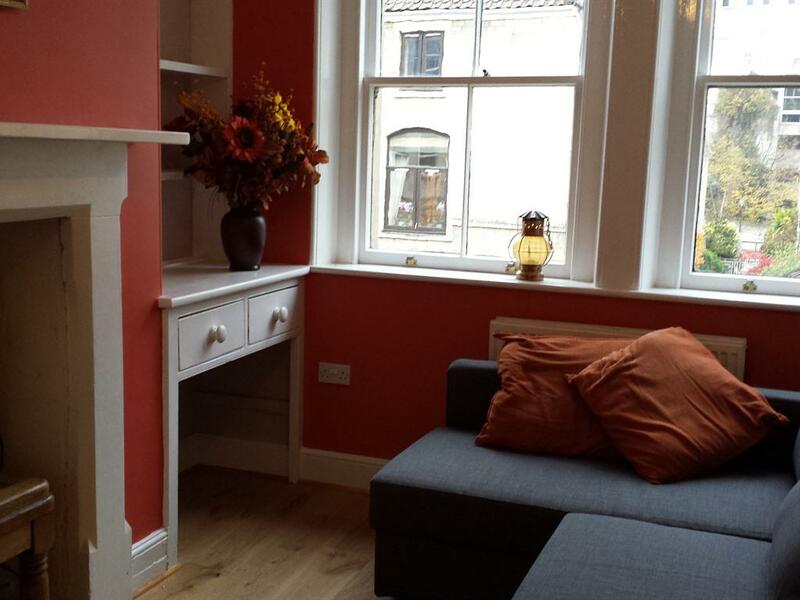 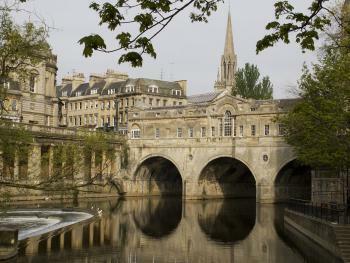 We are very close to the centre of Bath, whilst at the same time in a relatively quiet street. 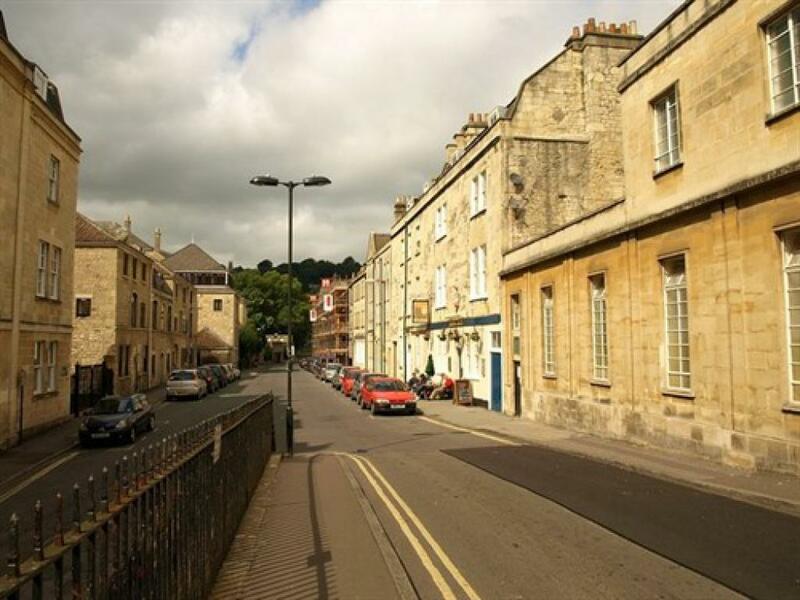 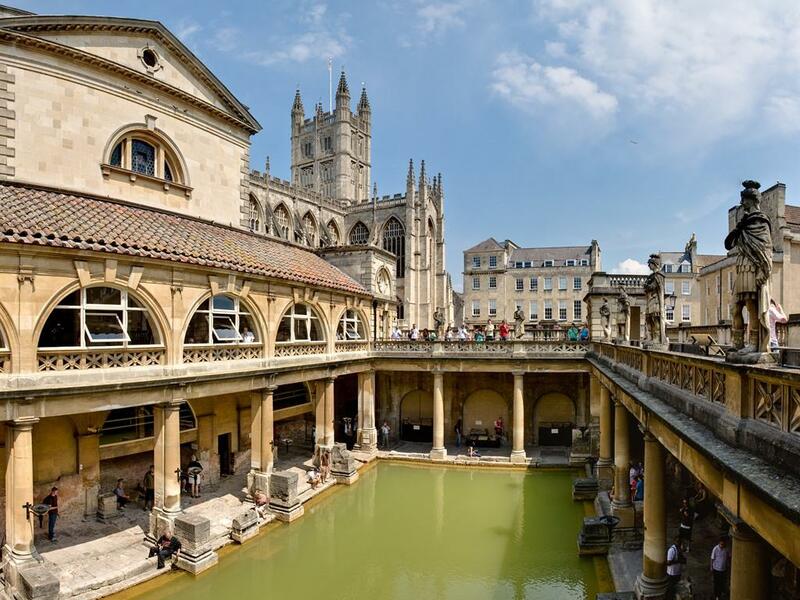 Once in Bath, a car is not necessary unless you plan to take some trips to the surrounding areas, as all the major attractions in Bath are around 10-12 minutes flat walk and an abundance of shops, restaurants, cafes are within 2 minutes walk and Waitrose supermarket is around the corner. 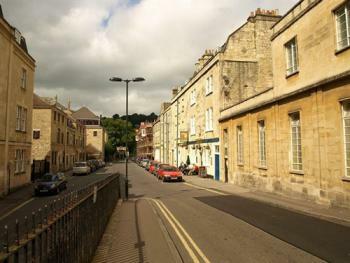 If you want to get away from all the hustle and bustle of town, then there is a very nice and peaceful Henrietta Park just behind Grove Street. 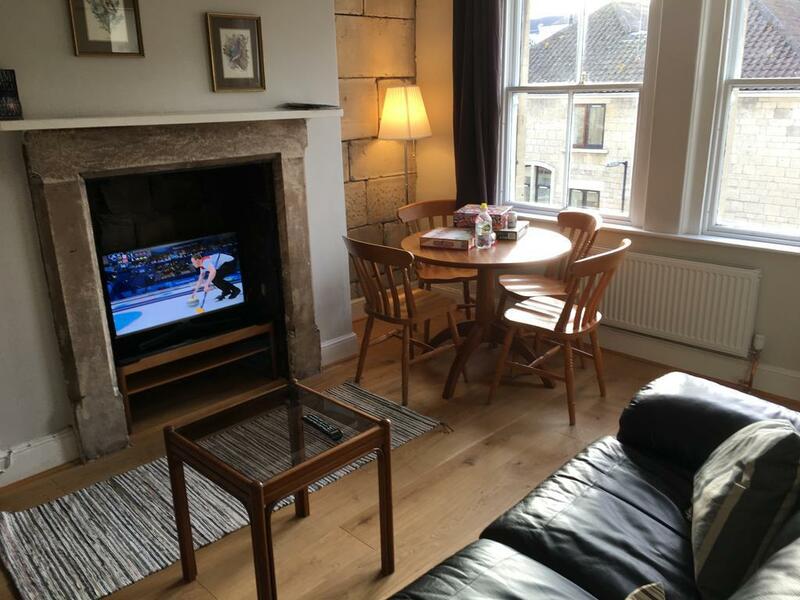 We also recommend a stroll along the canal, which can be reached by walking through Henrietta Park into Sydney Gardens, where you will also find the interesting Holburne Museum. 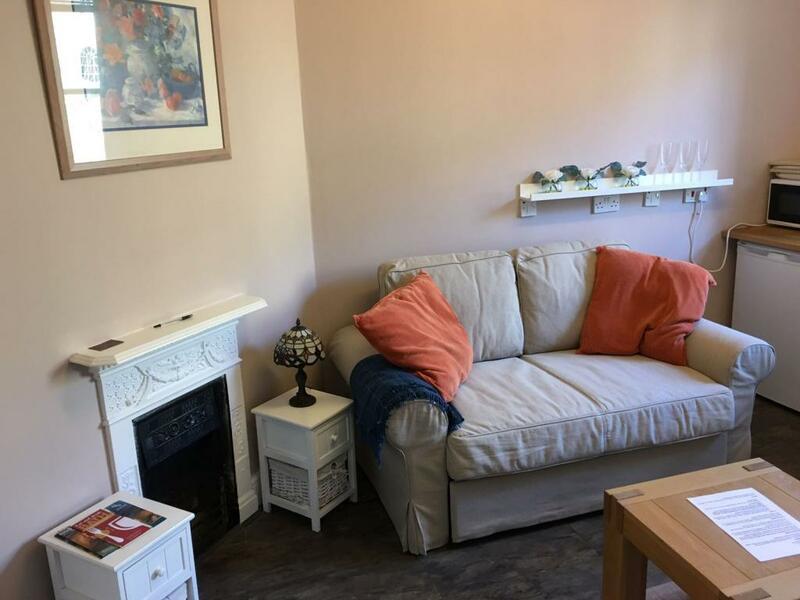 Our one bedroom maisonette has its own entrance - there is a good sized living room with sofa bed, a bedroom with king bed, On the first floor are 2 x one bedroom suites which have a kitchenette, separate living room (with sofa bed), big bathroom with toilet and walk in shower. 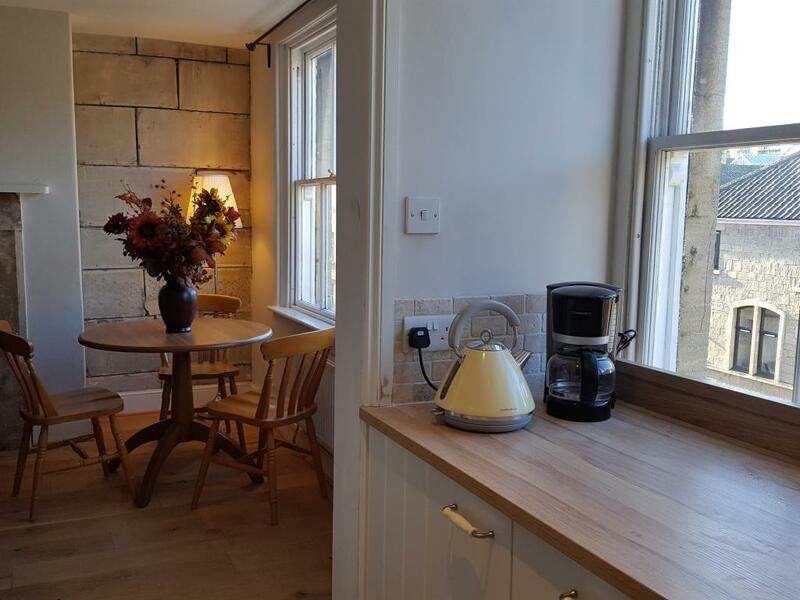 The kitchenettes are equipped with a fridge, tea and coffee making facilities, toaster and microwave. 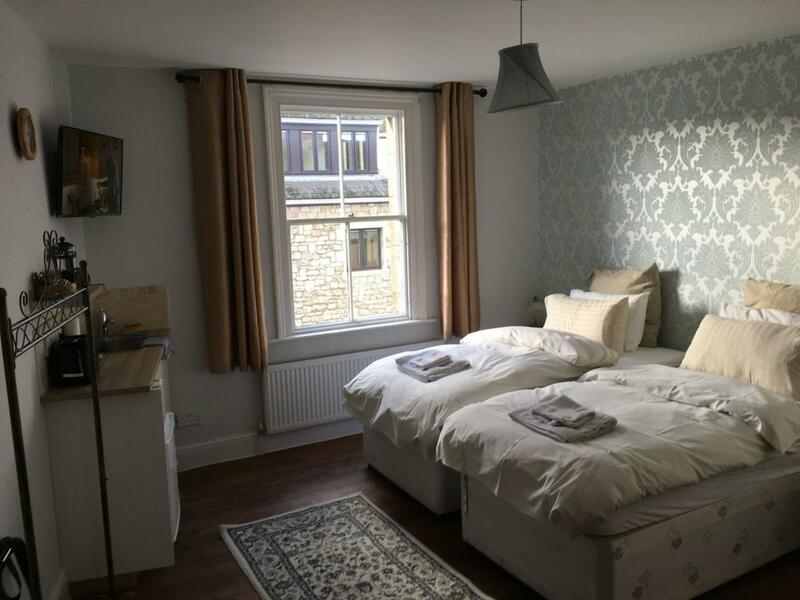 On the top floor we have suite #2 with 2 separate double bedrooms, breakfast making facilities with a fridge, a comfortable living room, a large bathroom with toilet and walk in shower. 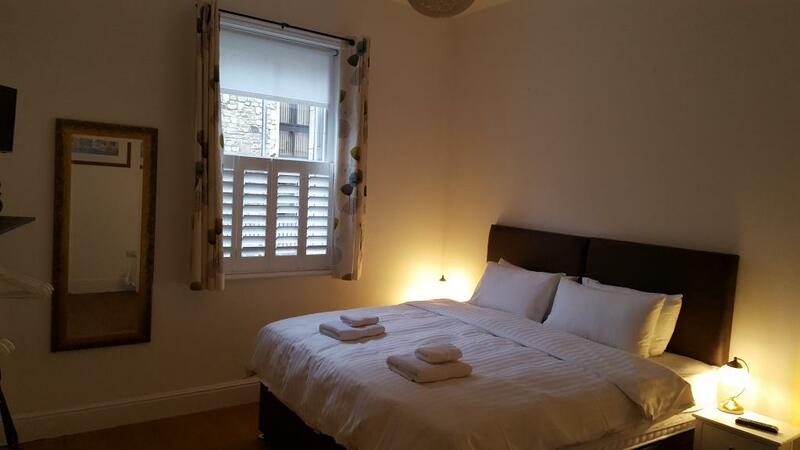 Next door is suite #1 which has a double bedroom with king size bed, a living/dining room, a fully equipped kitchen, walk in shower, and separate toilet. 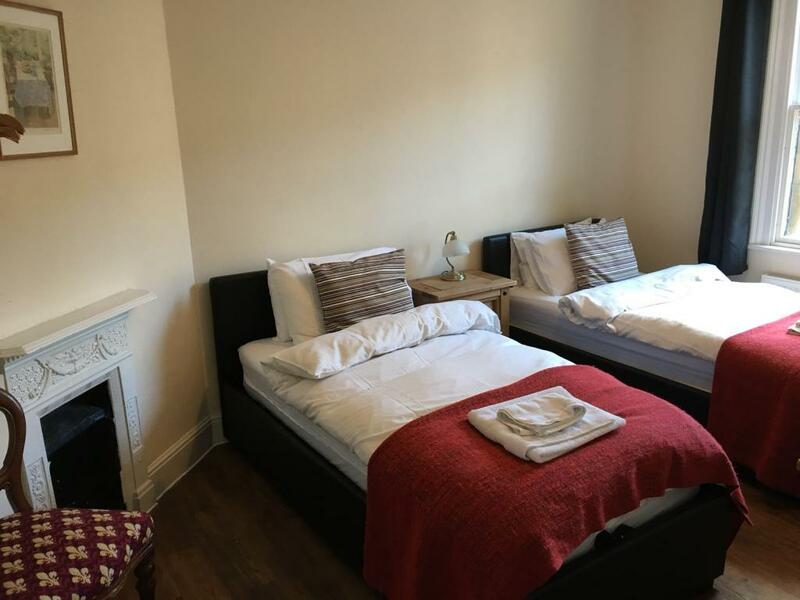 Our apartments and suites are in a Grade Listed Victorian building, the one bedroom apartments are on the 1st floor and the two bedroom apartment on the 2nd floor. 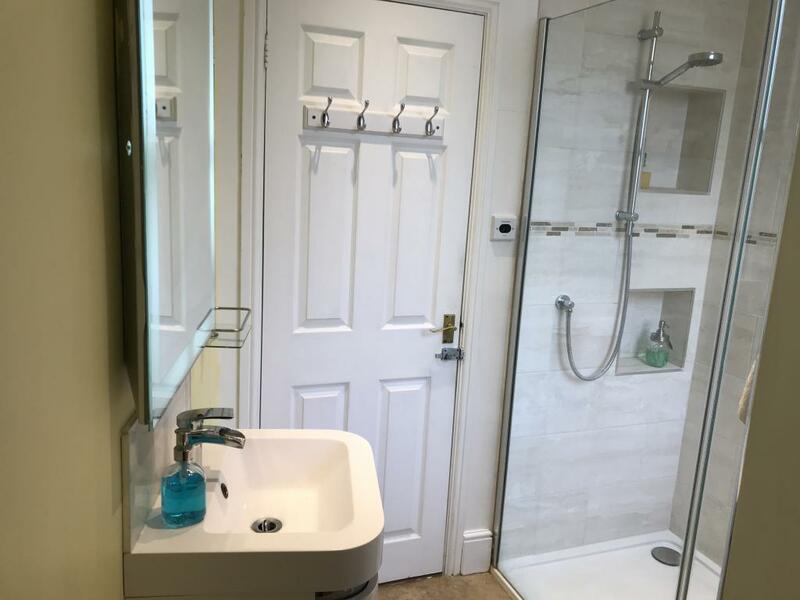 There is no elevator in the building, The maisonette has it's own front door street level entrance, however the kitchen and bathroom are downstairs.